While we talk of fabled thalis of India, we seem to mention every state but almost always ignore Goa. The state is talked of for its parties, beaches and cafes set up by settlers but never for its thalis. 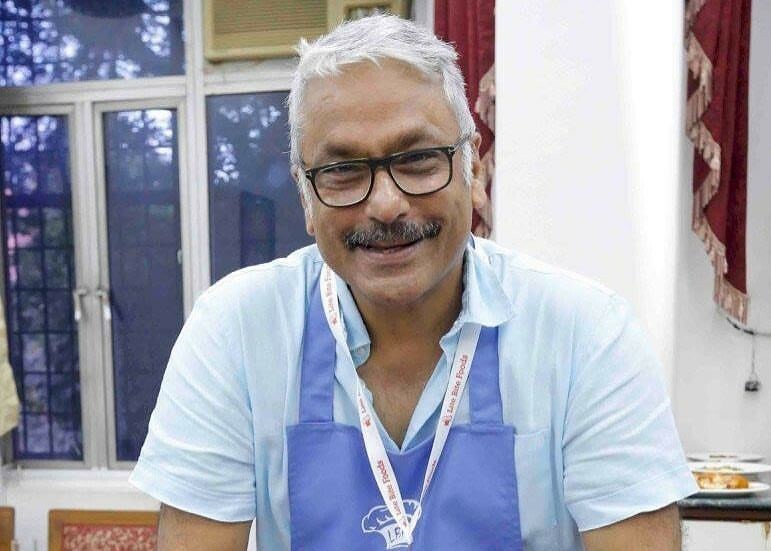 Food expert Atul Sikand though suggests any traveller's Goan experience will be incomplete without trying Goan thalis at one of the many local restaurants. Rather than sending us on a blind thali trail, Atul, a regular to Goa, pens a list of his personal picks. 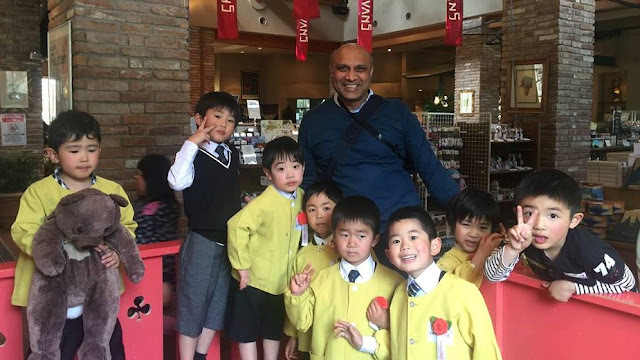 Here are his 10 favourite thali joints that he insists you must try. It is excellent. They have real good food - Rava fried squid, prawns or king fish with beer as we wait for our thali which is one of the best in Goa. In a narrow alley, off of Mapusa market is a two-storey (AC upstairs) hole-in-the-wall restaurant that inarguably serves the best Goan Hindu rice plate. 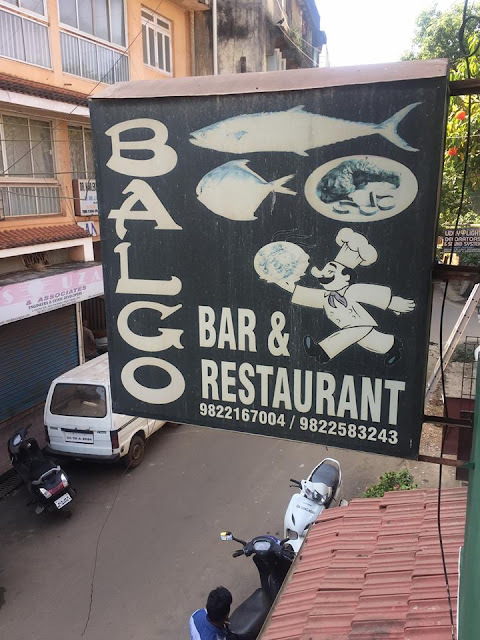 Don't be fooled by what the restaurant looks like - the food here is one of the best I have eaten in Goa. Named after the ubiquitous side served with a Goan meal, this cheerful restaurant in Dona Paula offers a thali which is generous as it is sumptuous and is the only place where the thali goes beyond fish but also includes a dessert - serradura. I love their oyster rava fry, squid butter garlic and fried fish in Recheado Masala. It is our belief (may even be common lore) that folks in the area started going to the church across the street regularly ever since Sharda set up shop. We visited around noon on a Sunday and had the restaurant pretty much to ourselves but within minutes of ordering our food, the restaurant was suddenly abuzz with people (not a single empty table). Apparently, service had ended at the church next door and the churchgoers were now paying their respects at their real temple of worship! From the ubiquitous rice plate to all kinds of fish dishes, it's all here and it is as spicy as they come! Even the dal has a kick to it! Named so as a tribute to mothers who have shared authentic Goan recipes from all parts of Goa. Here I always order prawn hooman - A different prawn curry from a Hindu Goan kitchen, Sannas with pork sorpotel. Priced on the higher side, but you pay for a great ambience, a super clean restaurant, good service, air conditioning and yes the food is delicious too. Great setting with an unobstructed view of palms and paddy fields, Vinayak comes with mixed reviews. While I have always eaten a better than average thali here some friends don't like the place. Chicken Cafreal and nothing else! But that's a good reason alone to head here. This is the best chicken Cafreal in Goa. Value for money thalis in a comfortable but crowded setting. You will have to wait a couple of minutes and in all probability, will share a table too during lunch hours. And it’s all worth it really. This is standard better than good food. 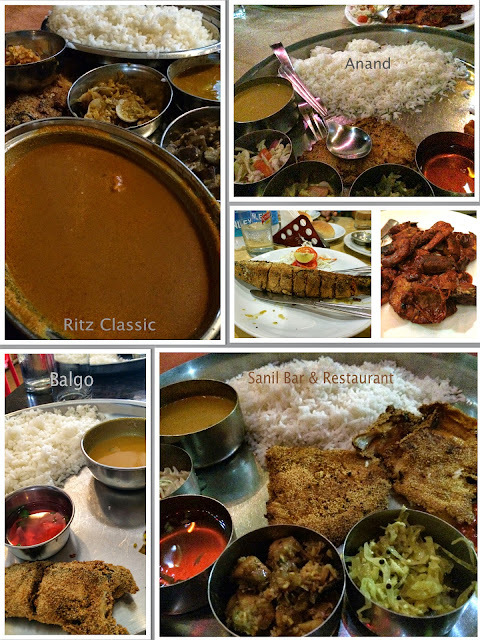 It has a vast menu to choose from if you don’t want to eat a thali. Yes the Punju from Delhi gets his butter chicken here too! If you've not eaten Souza Lobo's crab curry served in an earthenware handi with a handmade coconut shell ladle, you haven't lived yet. For me that's where it ends as I find it a bit of a tourist trap though my friends do rave about the mackerel recheado and boiled Goan sausages. All made better gazing out at the sea just a few meters from your feet. So much so that even the nightly band that sings the 60s, 70s, and 80s out of tune then seems appropriate! Awesome! A comprehensive and well detailed list of the ten best Thalis in Goa - a must for all types of foodies !